Group portrait of the Board of Overseers. Left to right, front row: Putnam, Walker, Abbott, Coles, Clifford, Robinson, Frost, Hupper, Riley. 2nd row: Crowley, Woodbury, Philoon, Foulke, Dana, Sawyer, Thomas, Evans. 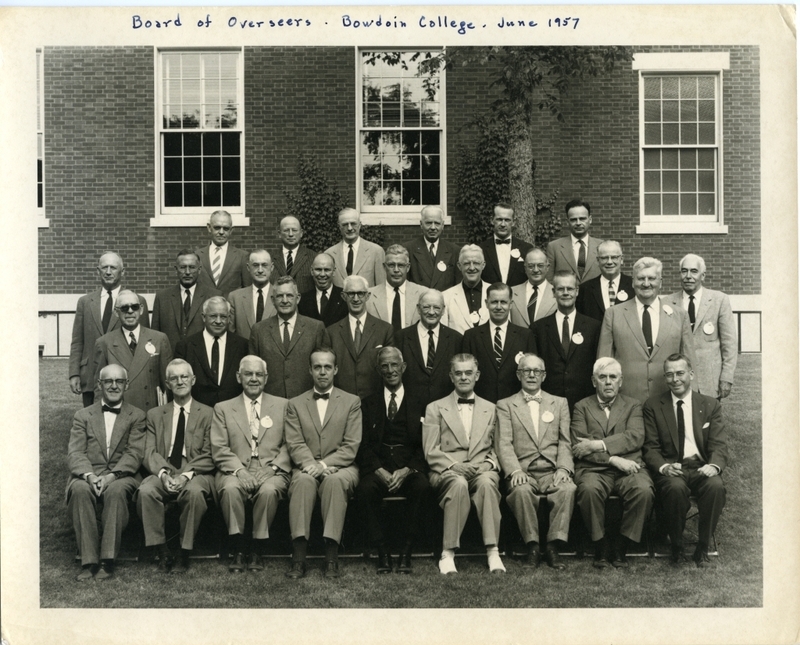 3rd row: Bartlett, Hildreth, Garland, Brewster, Farrington, McCarthy, Pickard, Gray, Stetson. Back row: Rounds, Cousins, Woodcock, Pike, Drake, Shute.